A Penn Central Geep passes the soon to be raised station at Yarmouth. 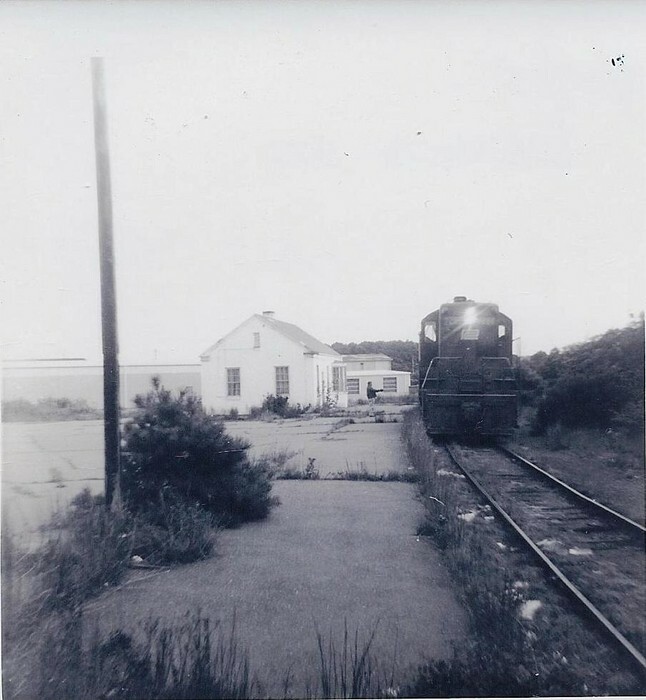 The station was demolished with a wrecking ball to clear the land for Christmas Tree Shop's first warehouse. The warehouse in the background between the train and station has been replaced with an appropriately styled office building. Photographed by Fred Pegnato, September 15, 1975. Added to the photo archive by Fred Pegnato, January 1, 2010.